The Biggest Oreo I’ve Ever Seen! I heard rumors and rumblings that this cookie was coming, but I didn’t truly believe it until I saw them in person. And they are HUGE! This thing looks twice the size as an Oreo Double Stuf. The creme almost looks like there are small cookie bits in it, but that just might be other cookie debris from the packaging. I put a few of them together and admittedly that was way too much! 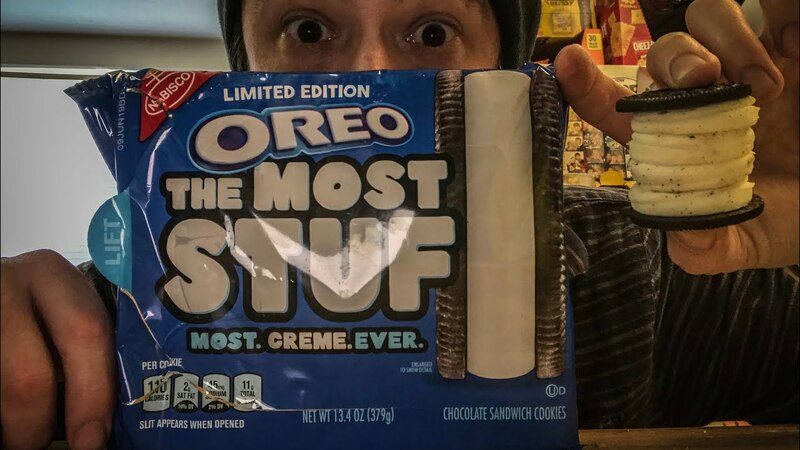 They’re limited edition, so if you really want to try them, you better run out and get some! We found these at Target. Sidenote: Anybody else find it weird that they spell stuff with only one f?